The beauty of old and original flooring in an older property is unmistakable and with good reason; their character and charm as well as the magic of knowing that generations before you will have had their own stories to tell upon the same flooring is always fascinating. However, with the beauty can also be the unfortunate inevitability of cold and draughty flooring patches impacting on the heat and feel of the room. Our guide ‘How to Insulate Floors in Old Homes’ is to help you transform your much-loved floor into one of which will feel warmer by holding heat for longer, to be more energy efficient and prevent damp spots. As homeowners, our two main objectives should be to ensure our floor is draught-proof and to improve the thermal performance of the floor itself. To do this takes planning, as you will not want to lose the character of the stunning and much envied floor, you will want to add insulation in the least disruptive manner. Despite your floor probably being of an age, you have many options made available to you, it is just a matter firstly of identifying which type of floor you have. There are two types of flooring; suspended and solid. So, to help you identify which you have let’s take a further look into both to help you identify. Suspended floors (constructed of timber) are made up of floorboards nailed to joists (which sit on walls of bricks called ‘sleepers’). To ensure that there is enough ventilation going through underneath the floor board, it is standard practice for grilles to sit at the base of the walls to allow for the air to circulate underneath. These may be visible from the outside of your home as this is where the air circulation comes from. It is this air circulation, however a vital aspect to maintain the health of the floor of which may be causing draughts being felt above floor level leaving your floor to feel cold and uncomfortable. The advantage of a suspended floor is that any new insulation can be added to the underneath of the floor if you have a basement/cellar directly underneath meaning no disruption at all to the main floor itself. If you don’t have access via a basement or cellar underneath you will still be able to add insulation under the floor boards, it will just be a little more challenging but still a simple task if you done correctly. Solid floors consist of a natural material such as brick, tile, stone or marble of which you will be able to determine visually. The chances are if you have this style of floor, you may not want to cover it with carpet as it is visually appealing. 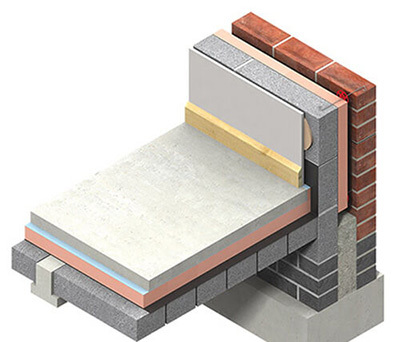 More recently laid solid floors will have been constructed using cement and if laid in recent years will have included built-in insulation under building regulation rules. If however you are looking to insulate with a floor covering such as carpet, your most beneficial solution is to use a rigid-foam insulation such as our insulation board products cut to size followed by a layer of good quality plywood or chipboard products followed then by your chosen. When choosing which carpet to go for, opt for a carpet made of natural fibres to promote longevity and a balanced air circulation. Bear in mind if you are adding layers of insulation and carpet that this will affect the action of your doors as the layers of flooring will be significantly higher. To rectify this, you will need to shave a certain amount off the bottom of the door to allow the height of your new flooring to fit underneath. If you have access to underneath the floor in question, then installing insulation will be easy and less time consuming compared to laying insulation above the floor. If you lay the insulation above the floor, then this will require the lifting of floorboards to insert the insulation product within. If your only option is to add insulation from the top, then this is still a relatively simple process but may take longer and more carefully planning will be required before commencing as damage to the floor is likely if rushed. Avoid taking up all the floor boards in one go as you may forget the layout resulting in the overall finished look again not looking quite as good as previously. Only remove a couple of floor boards at a time to ensure you are replacing the right floor boards back to their rightful positions. 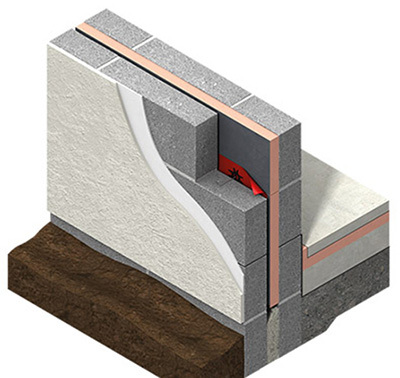 If you are lucky enough to have access to underneath the floor via a below access, then the simplest method will be to add a blanket-type insulation in between the joists of the floor such as our Rockwool Flexi Insulation Slab which is a fantastically easy method to add insulation in between under-floor joists. 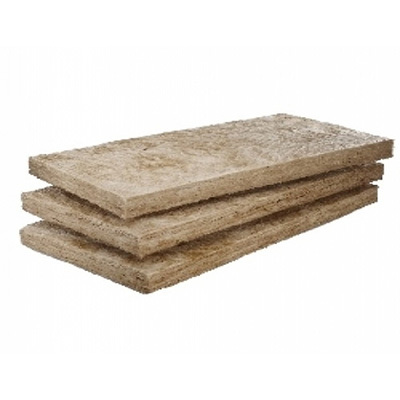 If you would like to add even further insulation, an additional option is our range of Insulation Boards of which can be easily fixed to the undersides of the joists and flexi insulation wool. This will help to maintain the heat further in extreme temperatures. To gain full benefit of any product, it is important to ensure that all gaps have been filled with your choice of insulation. The insulation product alone will not be enough to cease all draughts and cold patches, it must be used in the correct manner intended to allow it to work to its full potential. As mentioned above solid floors are more limiting in their insulation options. Due to their natural materials such as tiles, stone, marble and other varieties forming their construction and being laid traditionally directly on the ground they do tend to get damp and cold. When laid, the flooring would have been permitted to receive some circulation of air to prevent moisture and water droplets from becoming stationary and contributing to larger damp problems such as mould and water retention within your home however this doesn’t help with the extreme cold spots in the winter months. Due to the significant threat of long-term damage by lifting solid flooring up you may feel this is not an option for you however there are other easier alternatives to consider if you are looking to move away from the solid flooring look by adding a carpet on top in rooms such as a sitting room, dining room or hallway. When choosing a carpet to cover a solid floor, opt for a breathable material. Avoid using a covering which has a rubber backing or is waterproof as this will only potentially trap moisture over a length of time causing you problems of damp later down the line. Using a carpet to cover a solid floor can be insulated prior using a rigid form of insulation foam as mentioned above with our Insulation Boards. Easy and quick to lay, together with your choice of covering i.e. carpet will make a dramatic difference to your home and minimising heat lost. We hope you have enjoyed reading our guide to ‘How to Insulate Floors in Old Homes’. 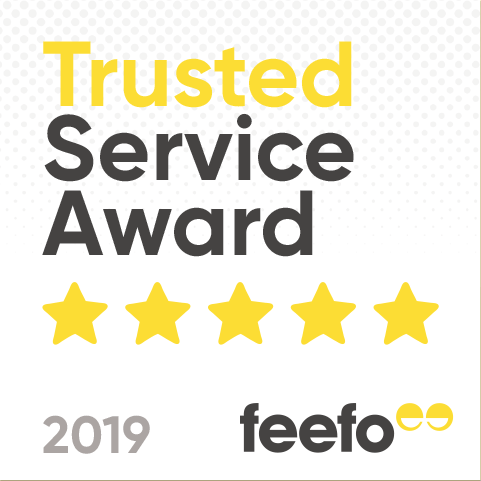 If you do require any assistance at all regarding any of our insulation range please don’t hesitate to join our skilled team on Live Chat, dropping us an e-mail or giving us a call where we are always happy to help.